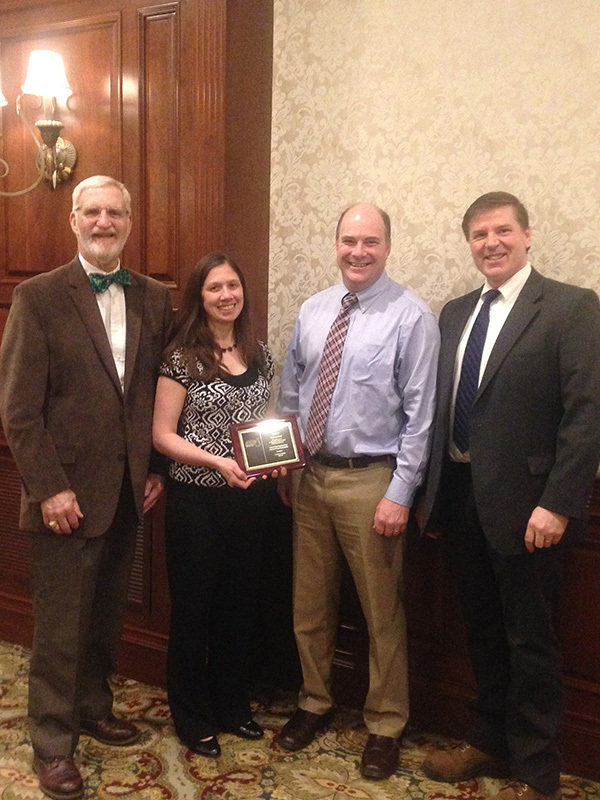 Westfield, Massachusetts – March 31, 2016 – The American Council of Engineering Companies of New Hampshire (ACEC/NH) presented Tighe & Bond and the City of Concord, NH with an Outstanding Achievement Award for recent chemical process improvements at Concord’s Water Treatment Plant (WTP). This included replacing aging components to ensure code and safety requirements, providing secondary spill containment, as well as increasing the overall efficiency and modernization of the WTP’s chemical storage system. 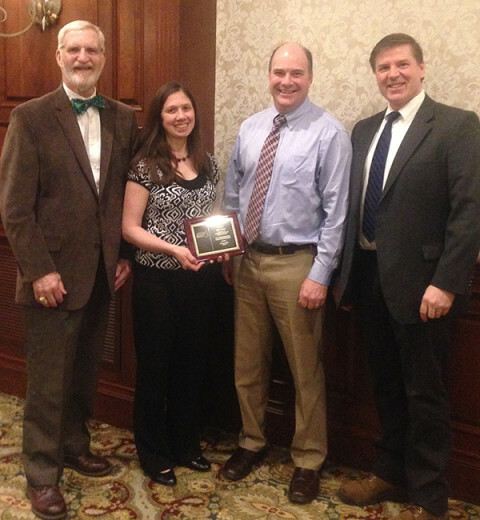 ACEC/NH held the awards luncheon on March 17 at the Puritan Backroom in Manchester, NH. This annual competition and event recognizes recently completed engineering projects that epitomize quality, innovation, value, and client satisfaction. In service since 1974, the Concord WTP, a 10 million gallons per day (MGD) conventional filtration treatment plant that treats a New Hampshire surface water supply, was due for an upgrade. The City of Concord contracted with Tighe & Bond to evaluate its existing chemical feed process, design improvements, and oversee the construction administration of this $1 million project. Using 3D designs, Tighe & Bond engineered the new chemical feed systems to fit perfectly within the footprint of the existing chemical room. This design method was instrumental in driving collaborative conversations, and helping operators to visual the final product. By connecting every phase of the design process through a single 3D digital model, Tighe & Bond could test and optimize the final chemical system design. This was critical to driving innovation, achieving a higher quality end product, reducing project duration, and increasing overall client satisfaction. Completed in July 2015, this project also required set up and operation of temporary chemical feed systems to keep the plant fully operational for more than one year while construction was in progress.